The seasonal trend about the squad not playing great but picking up wins have continued in the last two games. I think that Juventus had a rather poor performance against Udinese, hindered by some wacky tactical choices and by the suboptimal condition of some players returning from international duties. The goal we conceded was awful, but fortunately the team increased the intensity after that and, more importantly, we have Paulo Dybala and his diamond feet on the roster. Even after the 2-1, we did not manage the game with the usual ease and had some trouble containing Udinese’s attacks. Of course there were some righteous excuses, but it seems to me that something different is going on every week that makes the side look bad, so it is maybe a more structural problam rather than incidental. Juventus started off pretty well against Olympique Lyonnais, but then got scared after Leonardo Bonucci caused a silly penalty. We welcomed too much pressure and were not able to impose our will. The situation worsened after Mario Lemina got sent off, but thanks to Gianluigi Buffon and his ridiculous saves and to a magnificent play by Juan Cuadrado, the squad squeaked by with a key win that makes things right in the Champions League group. A gutty performance. Massimiliano Allegri has often scoffed at criticism about the team’s playing style, but even he on Saturday admitted that some improvements are needed from that standpoint. 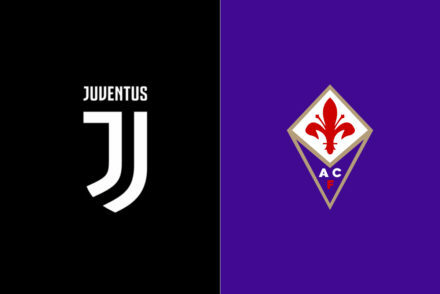 Of course, since we have a five-point lead over the closer chaser and we have won nine out of ten matches, these are definitely first world problems, but we always expect the highest level of excellence by Juventus. In the next four matches, Bianconeri will face Milan, Napoli, OL and Chievo Verona before the second break, so it could be the right moment to show some pizzazz. As it has often been the case, there are some injuries that will lead to some forced choices in the XI. Giorgio Chiellini missed the last two games with a small thigh issue, but not a strain, and all indications are that he will be out for the big match against Milan as well. Mario Mandzukic has a sore hamstring: he could recover in time but he will not start. Daniele Rugani has resumed training with the rest of the group and has made a full recover: he is in the squad list, but of course he will not start. Marko Pjaca, on the shelf because of a bruised fibula, is the other player close to returning, but not quite there yet. Medhi Benatia did not start on Tuesday, but he entered later in the game so the only issue with him is his stamina after a month-long hamstring ailment. He is set to start in the three-man defence, along with Bonucci and Andrea Barzagli. Otherwise, Patrice Evra will enter the picture. Of course a four-man defence is always possible when there is shortage of centre-back, but I am not sure how the rest of the team would shape up if that would be the case: Allegri would certainly want Sami Khedira and Miralem Pjanic out there in this one, but I think they would be limited and too exposed in a four-man midfield: a 4-3-2-1 with Cuadrado would make more sense. The attack will all speak Argentinian. That leaves us with only two real doubts: at right wingback and at the deep-lying playmaker position. 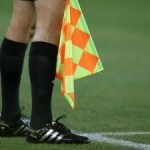 As for the first one, it is a three-man race: Dani Alves is clearly the starter, even though he has had maybe only a couple of good games since joining the Old Lady; Stephan Lichsteiner would be a more defensive option and that would be justifiable since Milan’s biggest threat, Mbaye Niang, plays on that side so the coach could decide to give Benatia some help; Juan Cuadrado is probably the least adequate for this position, and we have seen what he can do in a more offensive role, but he has had the better performances. I will go with Dani Alves because this is a big game and these are the matches he was brought to star into, but I would not be surprised by a different choice. On the other hand, Alex Sandro is close to a lock on the left. 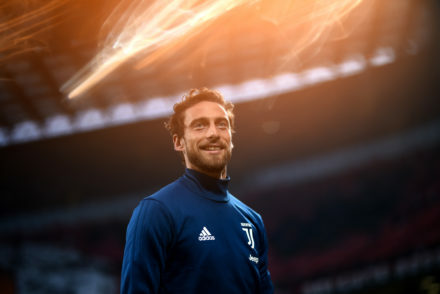 While Claudio Marchisio works his way back, he has played an hour in a midweek friendly, the doubt between Mario Lemina and Hernanes will continue for a little longer. Lemina got a red card against Olympique Lyonnais but I think he did not necessarily played poorly and he took one for the team on the second yellow card, committing a needed foul to stop an opponent that had already beat Bonucci and was menacingly approaching the box. Hernanes gave away that ball that led to the Udinese goal, so both had major errors in the last two games. At this point, Hernanes gives a little more in the build-up of the action, while Lemina add some muscles. Chiellini (thigh), Pjaca (fibula), Asamoah (knee), Mandragora (foot). Milan are not exactly playing out of this world, but they are getting it done thanks to an unusual defensive solidity and the effectiveness of their attackers. You could certainly say that they are winning mimicking what has been the Juventus Way so far this season. They have won four out of their last five matches, which pushed them to the second place along with Roma, a position they had not been since 2010. They have shown some resilience as well, in particular in the Sassuolo game, where they simply refused to lose and came back from 1-3. 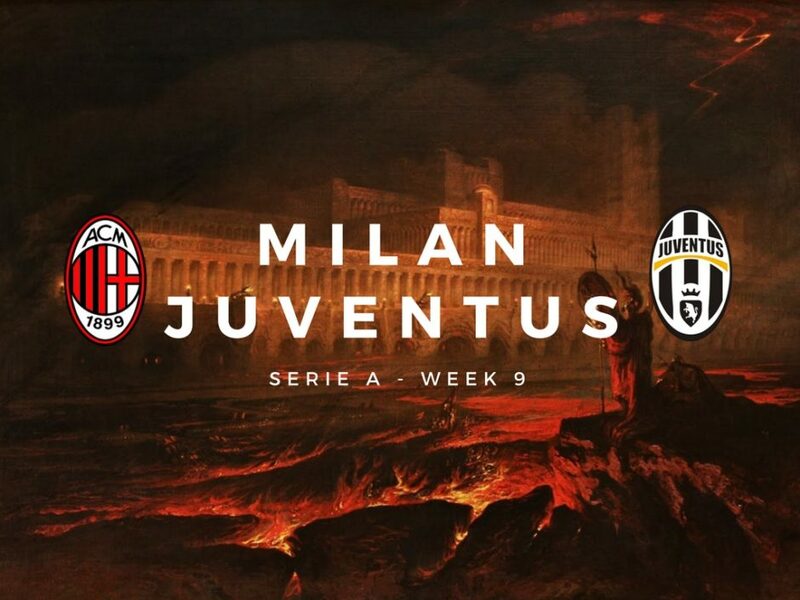 They could still have some ten, fifteen-minute blackouts where they give away the game, but they have limited those moments in the last months, so Juventus will have to be ready to pounce if it happens again. Much of the credit goes to Vincenzo Montella, who has implemented some of his principles but is especially bringing out the best out his players, either adapting them to new positions or simply trusting them. Gabriel Paletta and Suso were essentially run out of town two seasons ago because of subpar performances, but now they are regular starters and solid contributors. 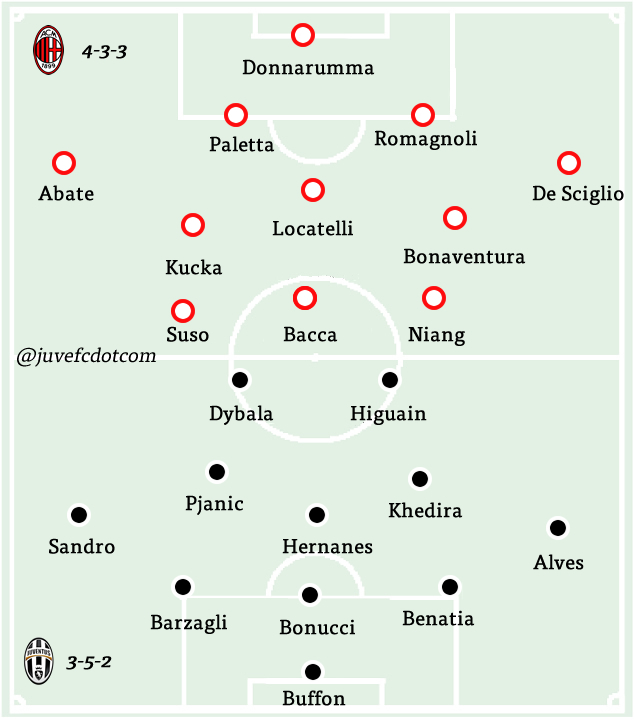 They are using a pretty basic 4-3-3: the stronger threat comes from the left side, where they deploy a revitalized Mattia De Sciglio, the always dangerous Giacomo Bonaventura, even though he is a little less offensive now that he is playing in the midfield, and Mbaye Niang, who combines physicality and quickness and is a handful for defenders. On top of that, they have Carlos Bacca who is having one of his finest season by doing what he is best at, finalizing. Juraj Kucka is playing pretty well and is vital for the balance of the midfield and Alessio Romagnoli is a little more reliable than last season. Out of the regular starters, the only one who has underperformed is Ignazio Abate, who had been supplanted by Davide Calabria before the youngster got hurt. I suspect we will not see much of Abate when Calabria and Luca Antonelli come back. They have had some injuries, and some heavy ones like Riccardo Montolivo’s and Cristian Zapata’s, but they have always been able to make up for the absentees, even though they do not have that much depth. They used the problems to give some other guys some extended looks and extra opportunities. Without the captain, Montella is now relying on the 18-years-old Manuel Locatelli and could mix in José Sosa as well, who has looked good in the limited time he has featured in, but not in that position. They will decide their January moves depending on how they go. The lineup is pretty much set: they will be without Antonelli, Andrea Bertolacci, Montolivo and probably Calabria. They should have Zapata and Keisuke Honda, but they are not project to start, or even play. The only real doubt is between Locatelli and Sosa in the heart of the midfield. So they are definitely a team on the rise: if they can establish a winning mentality before the Chinese takeover is finished and the expected influx of new money starts, they could be pretty dangerous in the future. Montolivo (knee), Antonelli (calf), Bertolacci (thigh), Fernandez (hamstring), Vangioni (thigh).